Reducing aircraft noise is and will continue to be a key driver for the aviation industry. Increasingly stringent noise regulations aim at limiting noise levels generated by aircraft and perceived both by passengers and residents near airports. EU’s ACARE (Advisory Council for Aviation Research in Europe) is aiming to reduce noise emission of flying aircraft by 65% in 2050 relative to the capabilities of typical new aircraft in 2000. In terms of noise impact for the residential areas surrounding airports, takeoff and landing are the most critical phases of the flight. 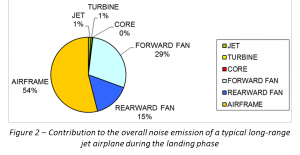 While noise emissions at takeoff are mainly dominated by engines, contributions of all other noise sources are evenly balanced during landing. 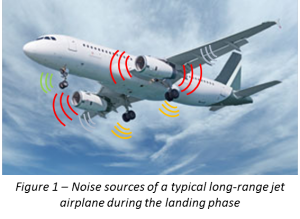 For a typical long-range airplane during the approach phase, around 54% of the noise stems from the airframe. Out of these 54%, 76% originate from the landing gear alone (see Figure 2 and Figure 3). In total, the landing gear accounts for about 40% of the total noise emissions of a long-range airplane in approach conditions. Understandably, aircraft manufacturers and suppliers are therefore investing considerable efforts to reduce landing gear noise. In addition to wind tunnel experiments, computational aeroacoustics provides a promising path to better understand sound generation mechanisms and to speed up the design process of quieter aircraft. 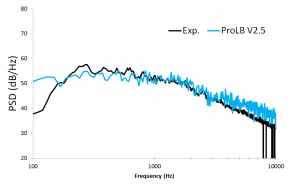 This case study describes how ProLB is used by major aviation manufacturers to accurately predict and analyze far-field landing gear noise. This study is based on the LAGOON test case. The LAGOON (LAnding-Gear nOise database for CAA validatiON) project, supported by Airbus, provides an accurate experimental database on three simplified landing-gear configurations for several operating points (cf.  Figure 4). 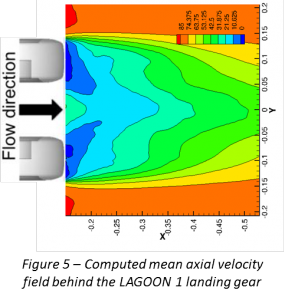 The study presented hereafter is limited to the simulation of the flow over the LAGOON 1 configuration. The case setup was created using LBPre with the goal of performing aerodynamic as well as aeroacoustic analysis of the results. The simulation was then run using LBSolver on a HPC cluster. The fluid volume is discretized following the user-defined grid refinement regions. The time required to generate the volume mesh is substantially reduced thanks to the parallel and automatic octree mesher. Turbulence modeling is based on a Large-Eddy Simulation approach. It is coupled with a pressure gradient-sensitive wall-law which integrates a correction for the viscous sub-layer as well. Aerodynamic post-processing was done with Ensight while far-field aeroacoustic propagation was performed using an in-house Ffowcs-Williams and Hawkings solver. The computed landing gear’s wake was compared to experimental results obtained using PIV (Figure 5 and Figure 6). The width and intensity of the wake as predicted by ProLB are is in very good agreement with the reference PIV measurements. Also, the thickness of the shear layers at the external edge of the wheels yields a pattern close to PIV, symmetrical with more similar iso-contours to the measurements. Aeroacoustic results are analyzed both qualitatively and quantitatively. Looking at wall-pressure fluctuations provides a deep insight into the noise generation mechanism occurring at the landing gear’s surface (see video below). Wall-pressure fluctuations were propagated into the far-field using an in-house Ffowcs-Williams and Hawkings solver. The comparison between the simulation and the measurements showed satisfactory correlation for a frequency range between 100 Hz and 10 kHz. ProLB was successfully validated for the prediction of noise emitted by landing gears and can now be used for landing gear design. 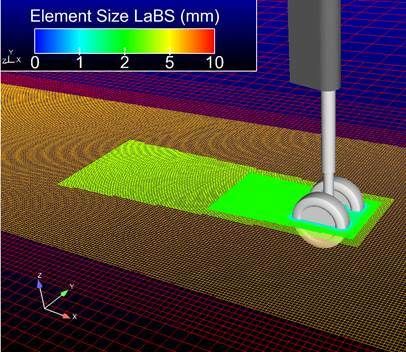 This paper aims at investigating and analyzing numerical simulations of landing-gear configurations of increasing complexity using the Lattice-Boltzmann solver “LaBS”. The LAGOON (LAnding-Gear nOise database for CAA validatiON) project, supported by Airbus,1, 2 provides an accurate experimental database on simplified landing-gear configurations perfectly suitable for this purpose. First, an assessment of the numerical approach accuracy is carried out on LAGOON1 configuration by comparing both aerodynamic and near-field acoustic results with the LAGOON database disclosed in the frame of the NASA BANC workshop. Then, further investigations are focused on the influence of mesh refinement, subgrid scale model and wall law parameters. Finally, the best practices obtained are applied on LAGOON2 & 3 configurations and allow to capture the impact of some geometrical components added onto LAGOON1 baseline.